Comments: Signed Copy Collectible - Good. Signed/Inscribed by author on half title page. Slightly dampstained. 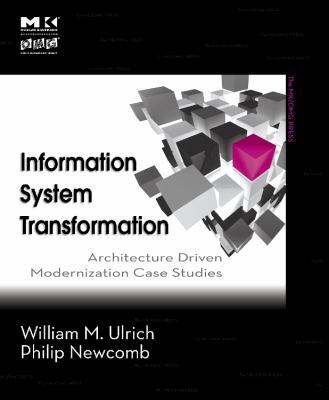 Ulrich, William M. is the author of 'Information Systems Transformation: Architecture-Driven Modernization Case Studies (The MK/OMG Press)', published 2010 under ISBN 9780123749130 and ISBN 0123749131. Loading marketplace prices 82 copies from $9.99 How does the rental process work?